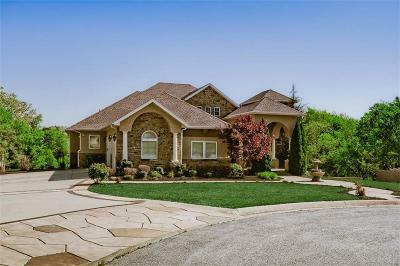 Luxury and elegance greet you under 13' soaring ceilings showcasing a granite entry in this Ozark gem ! Custom built in cul-de-sac overlooking Prairie Creek Golf Course is less than 2 miles to Beaver Lake and about 30 minutes to Wal-Mart HQ. Granite gourmet kitchen with gas stove pairs perfectly with outdoor deck and views for the paramount entertaining experience. 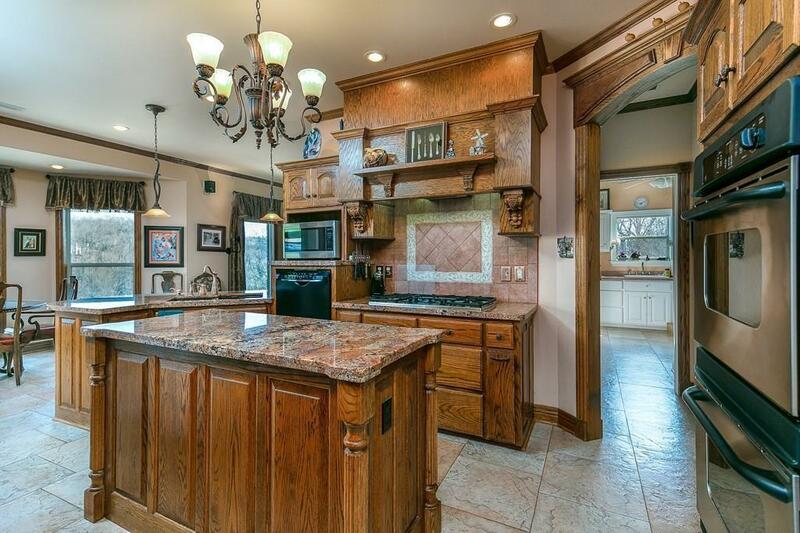 Two granite fireplaces upstairs with gorgeous hardwood floors throughout. The oversized walk in closets will amaze you ! Both garages are heated and cooled with the attic floored for extra storage. Downstairs mother in law suite has enormous views also and a separate entry !